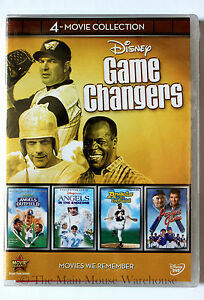 This product has 4 wonderful Disney Movies to enjoy to watch for the whole family members. I recommend this DVD set to my family and friends. A good buy and to owned. I love these old movies! They don't make em' like this any more! These movies are classics! Try watching them on Netflix or Amazon! I searched quite a while for Angels in the Outfield and all they had was the original made back in the 50's or 60's!